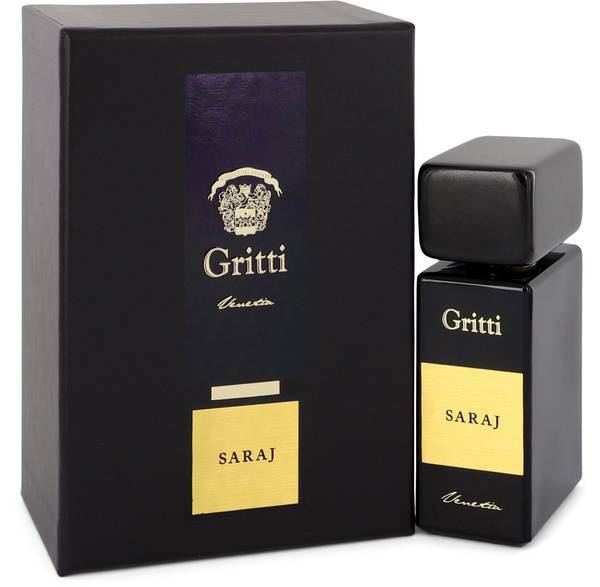 Gritti Saraj Perfume by Gritti, Add some spice to your life with Gritti Saraj, a designer unisex blend featuring the top notes of incense and myrrh . Olibanum, a scent related to frankincense, also plays a strong role in the aroma of this perfume. Floral notes of Egyptian jasmine and labdanum serve to offset the strength of these exotic spices. This sweet and tangy scent is long-lasting and packs a punch even in a crowded room, making it ideal for outdoor parties. 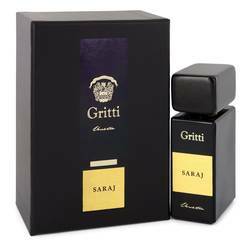 Venice, Italiy, is the home of Read More Read More Gritti, a perfume company created in 2010. Though relatively young, this perfume proprietor has already created over 30 scents contained in six different marketing lines. Many of the inspirations for these lines and aromas come from historic events, such as the exotic scents of the 16th century Spice Trade. Instead of focusing only on women's perfumes or men's colognes, this company also creates a variety of unisex aromas. All products are original, authentic name brands. We do not sell knockoffs or imitations.